Dragon CrossFit - Cardiff’s Premier Strength and Conditioning Facility, that uses constantly varied functional movements performed at high intensity. We cater to all levels of fitness, whether a professional athlete, active sports person or a full time mum. All our workouts are scalable to suit the individuals needs. 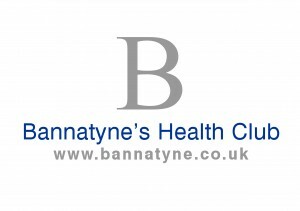 Bannatyne’s Health Club – Bannatyne’s Cardiff offers luxury facilities with a homely, relaxing atmosphere. The club prides itself on the services we offer, whether you are looking to achieve specific fitness goals in our up to date gym, relax in our heated pool and spa area or pamper yourself in the Sensory Beauty Spa. The Health and Care Professions Council – We are a regulator, and we were set up to protect the public. To do this, we keep a register of health professionals who meet our standards for their training, professional skills, behaviour and health. The Chartered Society of Physiotherapy – The CSP supports those who deliver physiotherapy care, education and research through professional, educational and trade union services, as well as campaigning on behalf of the profession.